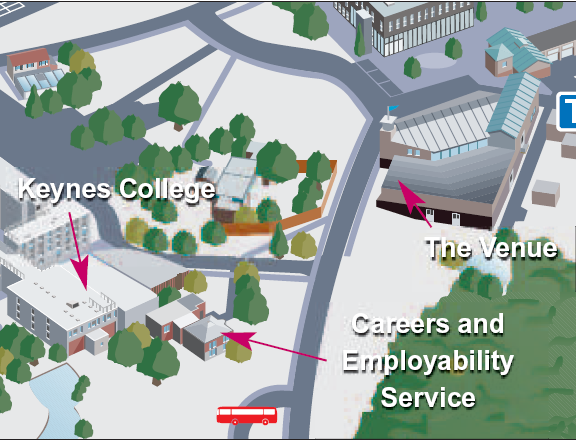 The Careers and Employability Service building is open: Monday 10.30am-5pm, Tuesday-Friday 9am-5pm. Come and use the computers and careers information between these times. Book a 15 minute slot for feedback on CV’s, application forms, cover letters and personal statements and advice on job hunting and interviews … available during the following times: Monday 12:00am-4:00pm and Tuesday-Friday 10.00am-4:00pm. For a longer guidance interview pop in to book a slot, ring 01227 823299 or book online.